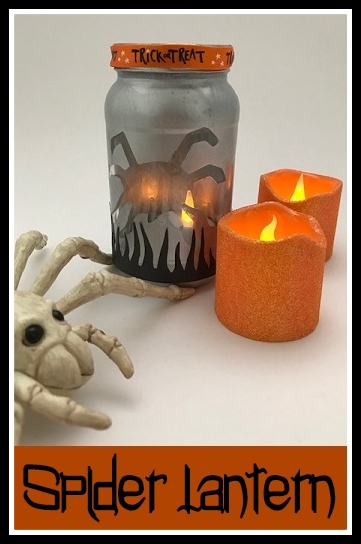 Halloween is a great time to make some spooky, seasonal decorations. 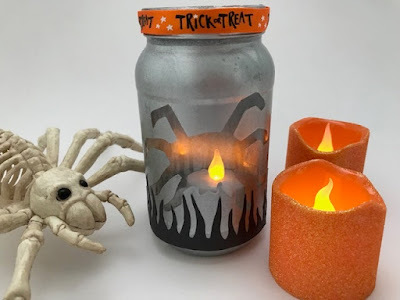 I'm sharing how I made this Halloween lantern from a jam jar with a spider theme, using some craft products from Bostik. First you need to mask off part of your jam jar. I chose to use a spider shape, inspired by some spider Halloween paper that I had in my stash. I used some address labels that are very low adhesive, you could also use strips of masking tape, stuck together if you need to cover a larger area. Draw your outline, cut it out, and stick firmly to the jar. Cover the entire jar with spray paint, making sure you are a well ventilated area. When the paint is completely dry, remove the sticker. You can tidy up any smudges or blurred edges using a cocktail stick to scrape away the excess paint. 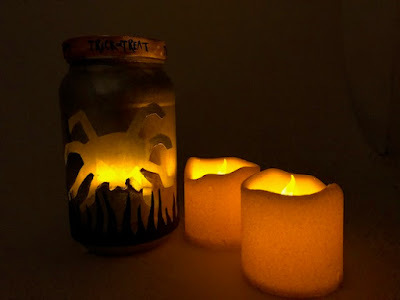 Next take a strip of black paper long enough to wrap around the base of the jar. Use sharp scissors to cut some spooky shapes, making it as intricate as you can. Use the Bostik Micro Dots to stick the paper cut out to the jar. 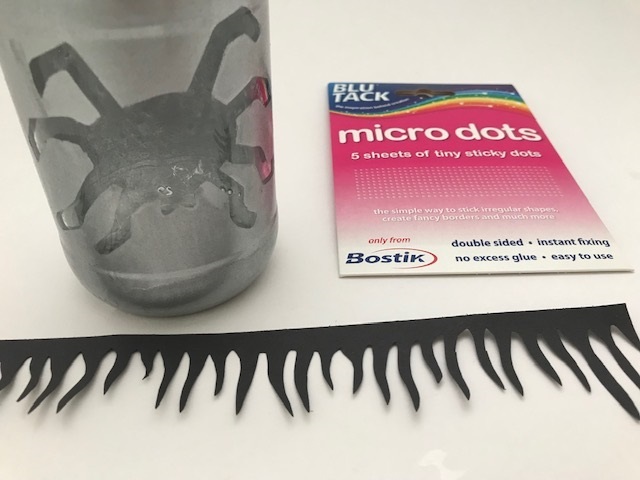 The Micro Dots are tiny spots of clear adhesive on a plastic sheet, which can be pressed on to any item to turn it in to a sticker. 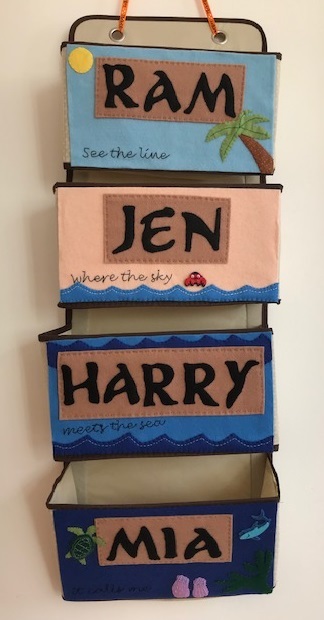 They are brilliant for tiny, intricate and irregular shapes like this, and stick firmly to almost any surface. Make sure that the entire area of the cut out is covered by the Micro Dots, then press firmly to the jar. Finally use some black or Halloween themed ribbon to cover the screw top of the jar. I held my ribbon in place using Bostik Glu Dots. The Glu Dots are really easy to apply, you just need to remove the protective plastic from one side, press the dot in position, remove the second piece of plastic, and apply your decorative item. It's easiest to apply them to the firmest surface first, so I stuck them to the rim of the jar and then removed the second protective plastic before applying the ribbon. Place a tea light candle into the jar, and your Halloween lantern is complete! The lantern really comes alive at night when you can see the spider silhouette more clearly. These would be great to place on mantle piece or windowsill to welcome trick or treaters. This is a collaborative post with Bostik.